While open access repositories and journals are free for end users, they do cost money to set up and maintain. Forward-thinking libraries are beginning to allocate funds to support open access resources. Here are some open access resources you should consider supporting. BioMed Central contains over 290 peer-reviewed journals in Biology, Clinical Medicine, and Health. Your library can get an institutional membership to manage Article Processing Charges (APCs). 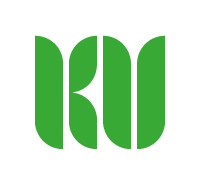 Knowledge Unlatched creates packages of scholarly books in the humanities and social studies which are “unlatched” to become open access ebooks through membership contributions. The first two rounds allowed the release of over 100 titles, made available for free via the HathiTrust Digital Library and OAPEN. The pledging period for the next collection, KU Select 2016, runs through January 31, 2017. Open Library is an initiative of the Internet Archive with “one web page for every book” ever published. Users can read public domain “classic books” for free or borrow up to five titles for two weeks each. Users can contribute by adding books or editing records. Sign up for a personal account or register your library to provide in-library loans for users on your library network. 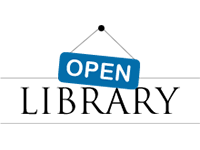 The Open Library of Humanities (OLH) is a UK-based open access publishing platform for scholarly peer-reviewed articles. The OLH charges no author fees, but is “funded by an international consortium of libraries” along with grants from the Andrew W. Mellon Foundation. Annual fees range from $534 to $1,600 based on institution size. US libraries can join through LYRASIS at lyrasis.openlibhums.org. Add PLOS ONE (and other PLOS publications) to your library’s databases list and activate PLOS ONE in your discovery service. There are several ways you can get involved. You and your institution’s faculty can publish in PLOS. Your library can become an institutional member to handle Article Processing Charges (APCs) for your faculty. Or you can simply donate to PLOS. See www.plos.org/get-involved.